This roller is from a Bonneville B-35 patio screen door. One has a retaining spring broken. How can I get a couple of these. No part number on the pieces. 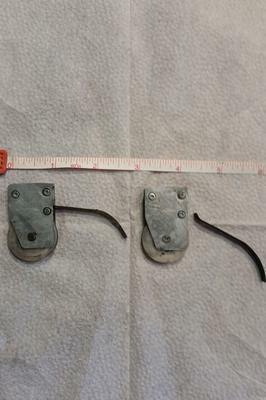 These are the same screen door rollers I use in my roller kit 90020. Made by Fasco and used by many many window manufacturers all over Canada and the USA. Join in and write your own page! It's easy to do. How? Simply click here to return to Screen Door Rollers.